Wild pole-caught skipjack tuna is light in color with big tuna flavor. 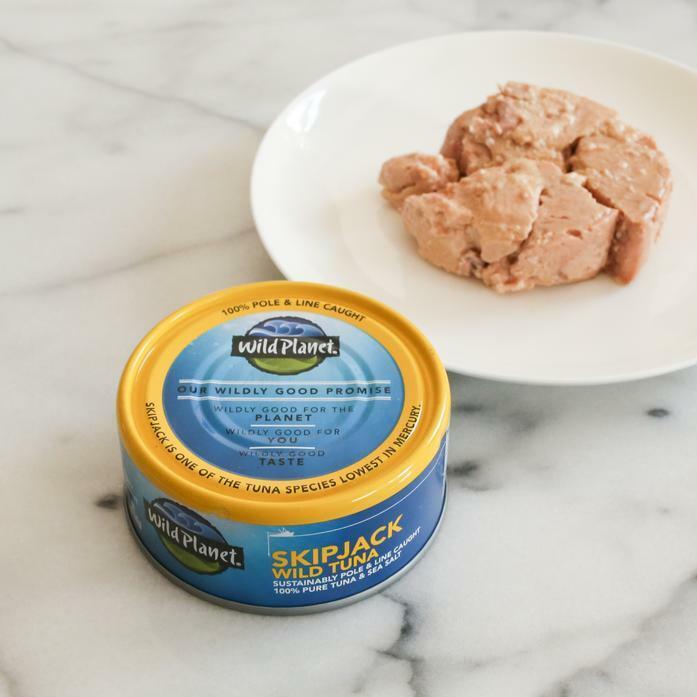 Wild Planet offers the first sustainably caught skipjack tuna on the market, perfect for tuna salad, tuna pasta sauce or your family’s favorite tuna casserole. Wild Planet skipjack wild tuna is hand packed raw into cans without added oil, water or fillers and cooked once to retain the abundant Omega 3.